Want to read of what radical faith can achieve? Gerald Coates Pioneer is different. A pastor, a pioneer and a provocateur. His bold prophetic ministry, both in terms of speaking prophetically and in terms of living that way, has challenged the established church. This book celebrates Gerald's life. Now in his seventies, he's still going strong. And the message he brings is just as relevant to the church today. You may not know it, but if you live in the UK, your church and your locality have more than likely been affected in some way by Gerald's ministry! This book will inspire and encourage you. Along the way, you will meet some amazing people. Some famous. Some less well known. But all important to a story that has helped change the church as we know it. Gerald Coates Pioneer by Ralph Turner was published by Malcolm Down in May 2016 and is our 27333rd best seller. The ISBN for Gerald Coates Pioneer is 9781910786260. 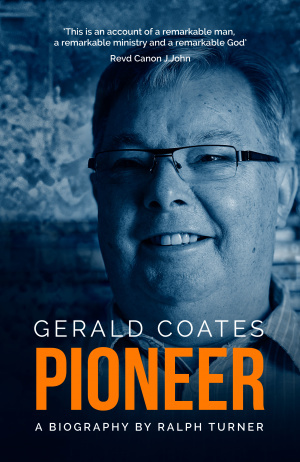 Be the first to review Gerald Coates Pioneer! Got a question? No problem! Just click here to ask us about Gerald Coates Pioneer.